Property Size 1,389 sq. ft. Very nicely upgraded 3 Bedroom & 3 Bath town-home located in the heart of Mammoth Lakes on the red line shuttle and near the Sierra Star Golf Course. Sleeps up to 8 maximum. Upgraded kitchen (granite counter-tops, stainless steel appliances & new cabinetry), bathrooms & newer carpet and tile flooring. The master bedroom has 1 queen bed, the second bedroom has 1 queen bed, the third bedroom has 1 queen bed & 1 set of bunk beds & there is not a queen sofa sleeper in the Living Room. 4 flat screen TVs, 1 VCR/DVD in Living Room, Stereo/CD. No phone in unit. Wireless Internet. (1389 Sq. Ft.) This is a two level town-home with the entrance on the first floor. Pet Friendly. Pellet stove in the living room. The first floor is all 3 bedrooms and 2 full baths, the second floor is the living room, kitchen, dining room and 3rd full bath. There are two outside parking spaces available. Spa, Seasonal/ Summer Swimming Pool, and Sauna. Coin-operated laundry facilities located in the common area near the office. COMPLIMENTARY INTERNET and CABLE TV are provided, however NO REFUNDS will be given for connectivity problems or Internet failure. TOT LICENSE 3390-WL31. Pellet stove in the living room. - Pellets are stored in the downstairs closet under the stairs. Unit Check In: Lock Box Located on Office Porch. Combination Needed. Awesome place. We stayed here for a ski weekend and Superbowl, it was perfect and spacious! Easy access to the lifts! Thanks for the great stay! Great Stay! Great place with lots of room and high ceilings. Very clean and well-stocked kitchen. Good location, close to the Eagle lodge. Thanks! It was wonderful. Thanks for fixing the hot water quickly too. Thank You for an enjoyable experience at the WL31 condo at the Woodlands. Everything was great. The condo accommodations were as advertised. Clean and plenty Of towels. This was our second stay at this unit. All was perfect. We would highly Recommend your services. You are an excellent company to work with. We feel you go the xtra mile to make the rental process an easy experience. Thanks again for the great service. We have all had a glorious time. The condos and weather have been perfect. Both our families had a wonderful stay at WL31. 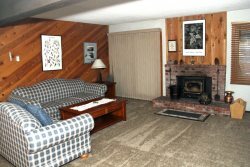 I have been coming to Mammoth for over 30 years and with few exceptions have stayed at the Sierra Park Villas. We would have done that this year as well but a last minute change forced us to take our dog. I went online and discovered WL31. Not only was it a very nice unit, the entire complex was well kept and quiet. We will be returning to this complex in the future. Thank you for having a pet friendly unit, we had a great experience and will return. Your pricing was fair and we appreciate that as well. Thank you! Hello from Los Angeles, arrived home safe after a very enjoyable weekend there. We really had a good time and the accommodations /lodging was very nice and very comfortable, we could not have asked for anything else. We definitely would love to go back again and stay in the same rental. Thank you! We had a great time in Mammoth. Unit 31 was beautiful... especially the kitchen and bathrooms. Thank you for your service. We enjoyed our time. I look forward to coming up again soon. Follow Hwy. 203/Main St. to Old Mammoth Rd. Turn Left on Old Mammoth Rd. Turn Right on Chateau Rd. The Woodlands will be on the right hand side of the street.